February | 2017 | Peroglyfer – Machine Learning changes math. Math changes everything. Even if I don’t know how freewill started I can speculate how we can understand it in its simplest form. The simple answer is machine learning. I speculate that with machine learning you can predict,recognize and generate realistic looking actions. The difficult thing to understand is that this is also true for the timing of those actions. So with machine learning you could generate ”Freewill Realistic Actions” at timings that are also realistic. So when will you drink your coffee? Timing is important. People will recognize freewill actions because of how accurate and realistic the timings were. Basically if a robot has human like timing. It will be perceived as having freewill. So is the guess anyway. With a few image filters in the graphics software GIMP you could simplify the process of solving the TSP problem. At least when doing it by hand. To remember what your code do. I thought of a simple solution. Just split the desktop screen in two window parts. On one half of it you have the relevant code and on the other half you could have explaining text, images, ?flowcharts, webpages, a pdf page and more. With open source textbooks you could just place the pdf page one side and explaining text notes on the other. Here you could just take a photo of your notes and then a screenshot with them side by side with the page. So my idea is to make simple but effective screenshot comments to code and notes to open source books and wiki pages. Maybe a database could be used but I thought this was a simple solution. Say you have different types of processes in a cycle. If you assign each process a number then the cycle will generate a curve or a pattern. What I wonder is if one could use time prediction or predict inbetween processes by the patterns from other physically real events. With this you could have something that looks “process realistic”. An example would be to assign a number to reversible and irreversible type of processes. My speculation is that with this. You could reverse guess a needed object. From the process number that the machine learning algorithm has predicted. I was thinking. Our differential equations might not be able to generate the detail required for some situations. Or it might require to much memory and processing power to get that high detail. If at all possible? Therefor I wonder if one could ”enhance” the solution of a differential equation by image post processing. Like we do in rendering ray traced photo realistic images. Here it should be possible to post process an approximative solution to look like a ”photo” realistic solution. I think this could be automated with machine learning. Philosophically. If you have information from many different particles from an entagled object then I guess it should be possible to calculate distance, direction,state and more. So I imagine that some ?information-particles gets lost from the oscillating electric and magnetic fields of a light wave. Here you then have ?two types of particles. I don’t know but maybe they have a limited life-time. Like a time indicator. 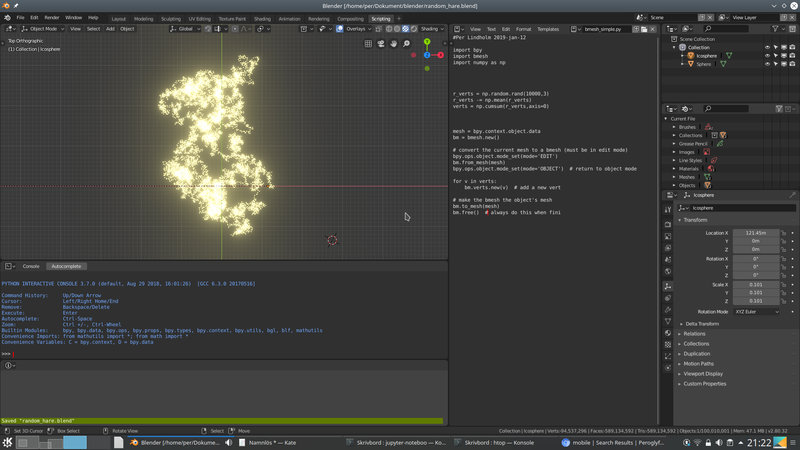 Then I guess it could be possible with many of those particles to calculate the position, direction, speed and state. I was wondering. Or really I figured out an easy way to change colors of themes by chance. I wanted to present some text but with some cool GIMP filters. Said an done. After I wanted to see what glow looked like for text. I tried some other filters. Hmm. Here presents itself a very easy way to change the color of everything you want in an easy way. I mean. Why change a color at a time when a filter will change all the colors for you to your perfect liking. So if you like to code and want to change colors to your preference why not try GMIC and the other standard filters in GIMP. Then just use a color picker to select the new improved color choices. Some examples of filters could be tonemapping, detail filters and more. You can use other software than GIMP. Like darktable or rawtherapee. This reminds me. A wanted feature of GIMP would be the blender spacebar search popup window. For finding the filter that is. Maybe css for HTML5 web pages should have color filters also for added functionality and readability or coolness. My drawing skills are very bad. So to improve this I came up with a simple aid tech technique. Simply use Blender to create the 3D model. Then you could use a toy drawing projector to draw on the image and paper. Visualizing is an important part of problem solving. The idea is that you get better at mathematics or physics by this kind of technical drawing practice. So to improve my idea of a Pressure Taking Object In A Piston Cylinder. 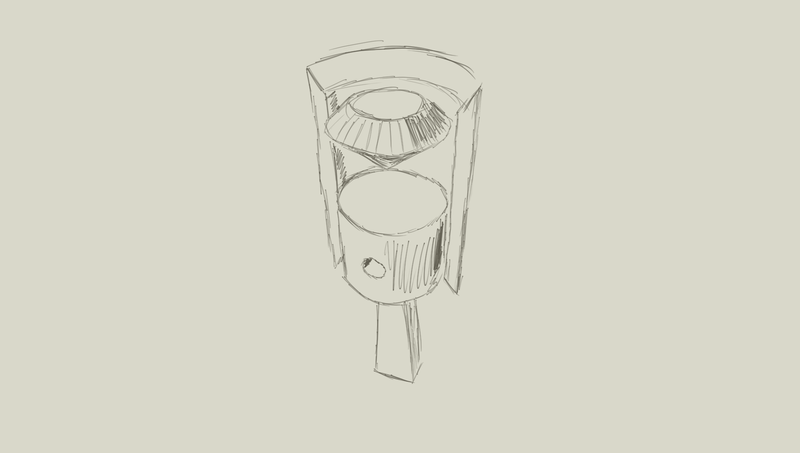 I made the following drawing from Blender 3D object and a drawing tablet with MyPaint. What if a magnetic or electric force could have a memory associated with it. What type of complex behaviour could then be explained? My idea is simple. Every position xyzt in space could be a parameter for a decision vector. The decision vector is just what objects to place in those positions. Then looking at a piston in an engine. I wonder. If adding an object in the cylinder doesnt immidiatly brake it. It could possibly enhance it. Then I wonder. Since the piston works with pressure then a material that is known to handle pressure is diamonds. Replacing an ideal diamond with something cheaper. Then is there a use of pressure taking ?cone shape objects of in a piston + cylinder I wonder. This is just some speculation. I believe black holes are one of the most extreme objects we know. Therefor I wonder. Could a black hole extend itself in time also as well as beeing large? If the atom has a decision mechanism based on the history of its interactions. It might influence its “will” to fusion. 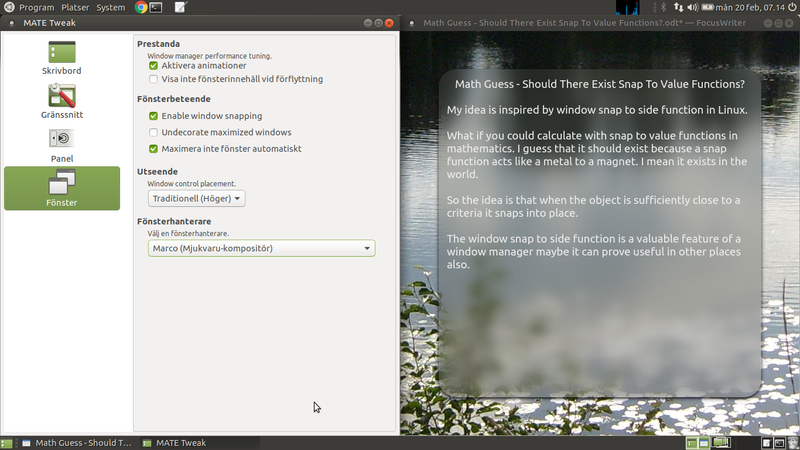 My idea is inspired by window snap to side function in Linux. What if you could calculate with snap to value functions in mathematics. I guess that it should exist because a snap function acts like a metal to a magnet. I mean it exists in the world. So the idea is that when the object is sufficiently close to a criteria it snaps into place. The window snap to side function is a valuable feature of a window manager maybe it can prove useful in other places. Maybe there are also snap to shape functions of objects. So to ?simplify a simulation you have snap to position and snap to shape functions. Just a quick project idea. 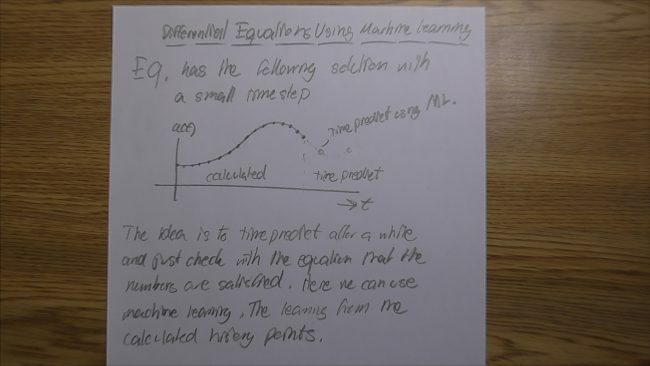 Using machine learning for solving differential equations might sound hard. I think I got a simple idea. Just use machine learning ( learning from historic data ) to time predict the future points after sampling the previous calculated solution points by a known algorithm. For instance rk. A gaming keyboard which has pressure sensitive keys. I’m no gamer but I think pressure sensitve keys can come in handy. The idea with pressure sensitive keys is to let the gamer have more controle than simply on/off keys. Here something else could happen if you press harder. 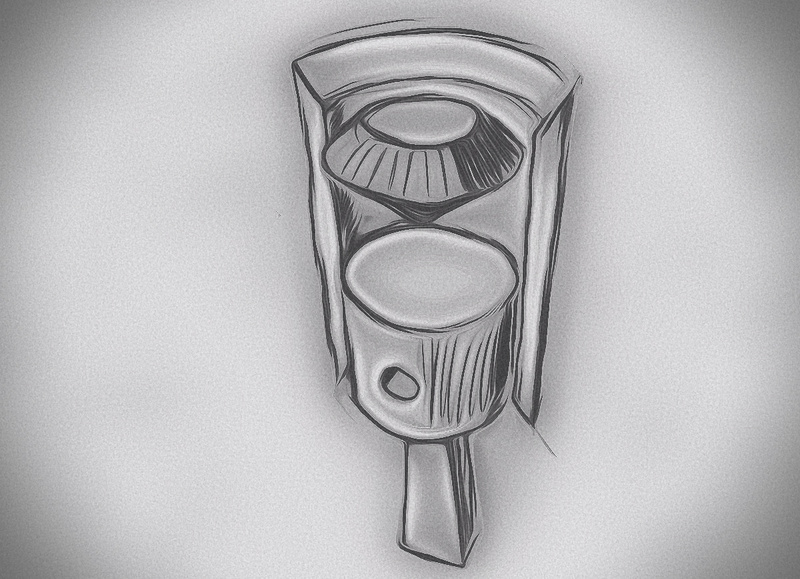 I can imagine the fun games which can be made and improved with pressure keys. As an alternative I belive its possible to have keyboard keys which when pressed on the border of the key gives another output. I think one can call it XY-keys. Meaning where you hit on the key matters to the digital output. From asking the question. Why does red look like red. I made the simple guess that this could be the basis of a new field of machine learning. So we have recognition of color and then representation. Its the neural network representation of the recognized color that is I guess a new function of machine learning. So the idea is that we can set generate a machine learning function from color questions. If you call the sequence of ones and zeros in a binary number choices than why could you not use objects instead of numbers. Are there higher order number systems? From what I guess a higher set is recognized as a set that can act like the smaller set. Objects that could represent numbers like neural networks could perhaps work. So like decimal numbers to binary numbers you have specializations in the brain. Like the numbers 0 .. 9 and right and left side of the brain. Which would represent zeros and ones. The choice between zero and one or left or right. One interesting aspect of this I guess is that you can actually evaluate 0/0. It could be stored like an image but more importantly it could be evaluated as a feeling. With this you could evaluate each number in the a sequence as a feeling. Maybe that feeling represents a uncertainty value. So here it does not have to be linear uncertainty. Maybe you are more sure of the tenth digit than the seventh. I watched some TV and happen to see a restaurant with a self serving ice cream machine. Hmm.. This could be something for the our pizza restaurants here in Sweden. An ice cream machine. Was thinking about smart mathematics. Touched upon in the earlier post. From this I guess that most of our products are based on “dumb rule” mathematics with contraints accordingly. I wonder. To get a better battery. I was playing with a guess variation of types of molecules. Does there exist “digital molecules”. Also. If there exist different types of electricity you could have a smart battery which draws different amounts of needed energy from the different electric energy types. Take any number of functions then as a rule let a machine learning algorithm select which numbers from which input functions to use at what time or x value. Simple as that. The machine learning algorithm selects among the input functions. Which function values makes the best choice. So now I wonder if you need to classify mathematics into dumb rules and smart rules. Maybe. Originally I was aiming for an idea to minimize the extra heating in the apartment. But I noticed a much more important feature of the heat blanket. To me a heat blanket squeezed behind my back has a soothing affect. Feeling comfortable lets me concentrate much easier. Thats why I think people who have a hard time to concentrate might be helped by such a simple device. So the idea is simple. Make yourself a StudyChair. Just squeeze an electric heat blanket behind your back and the backrest. The image is my manual solution to a 1000 points traveling salesman problem. The conclusion I made is that. Its ridiculus to try to concentrate yourself trough such a hard problem. You really have to divide the big problem into smaller parts. Find similar strategies to this and you solve anything. Counterstrike was a very successfull modification to the PC game half-life. Then why not take inspiration from this and create the next successful educational game. Where people can make interesting mods. I mean. Education is a very big sector. There could be a good amount of different mods that are interesting. There are many places where the electric grid is not good. I wonder if home fuel cells on different fuels could be used on such places. I belive electricity enables the highest efficiency so maybe those gas cooking stoves which to me look a bit stone age could be replaced by something more modern. I think maybe a home fuel cell could have many benefits. Efficient random was my hunch that there should exist efficient random pattern generation. It should not have to repeat usual patterns so often. Maybe the patterns should be different in recognition classification. Like the patterns we use all look noisy. Perhaps we should have a list of different pattern types to test. Not all projectors have good capabilities in a non darkened classroom. For instance if the students need to take notes. I remember that our backprojector TV offered a better image quality. The screen doesn’t need to be so advanced. I googled a DIY frosted vinyl shower curtain. So it could work with a limited budget. So the question is. Could Education With Digital Projectors Be Improved With Rear Projector Screens?